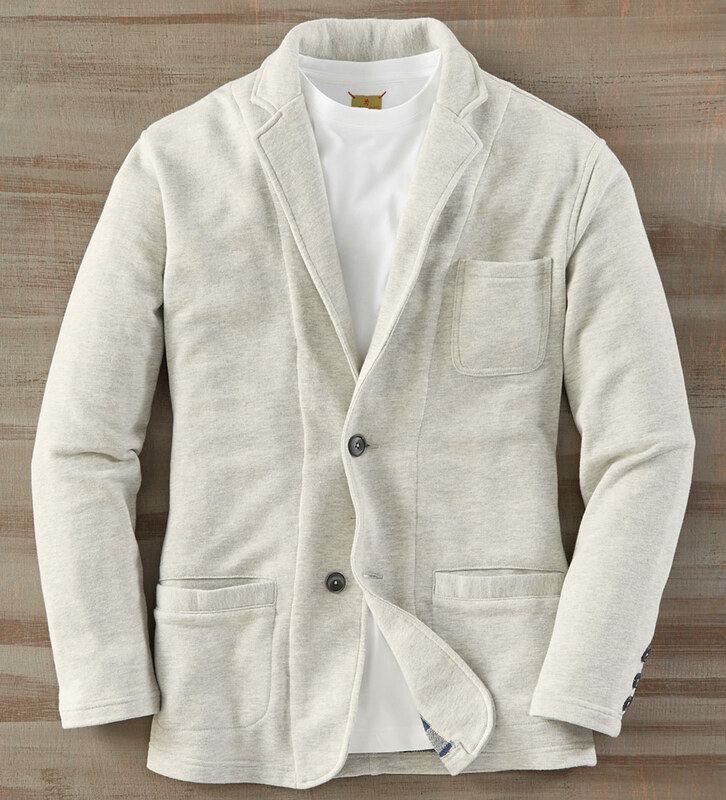 A comfortable, casual take on tradition in soft, easy French terry knit. Two buttons, no vents, chest pocket, two lower pockets, buffalo check full lining. 65% cotton/35% polyester. Machine wash. Imported.